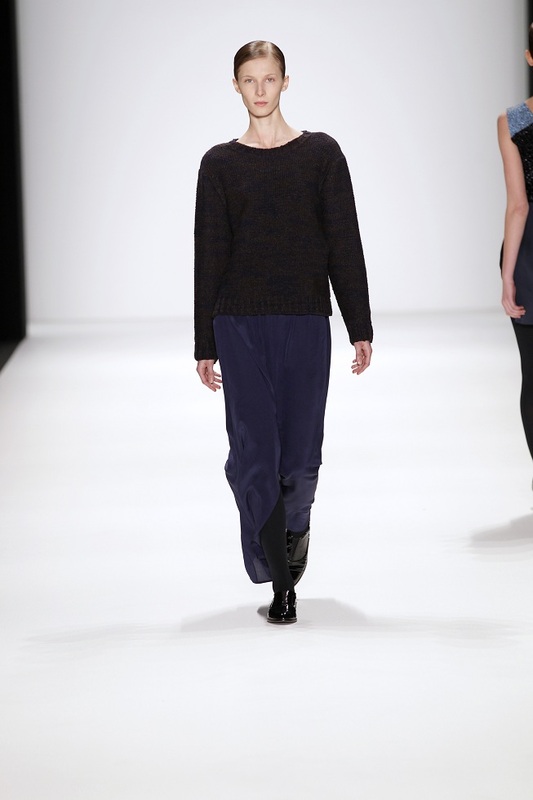 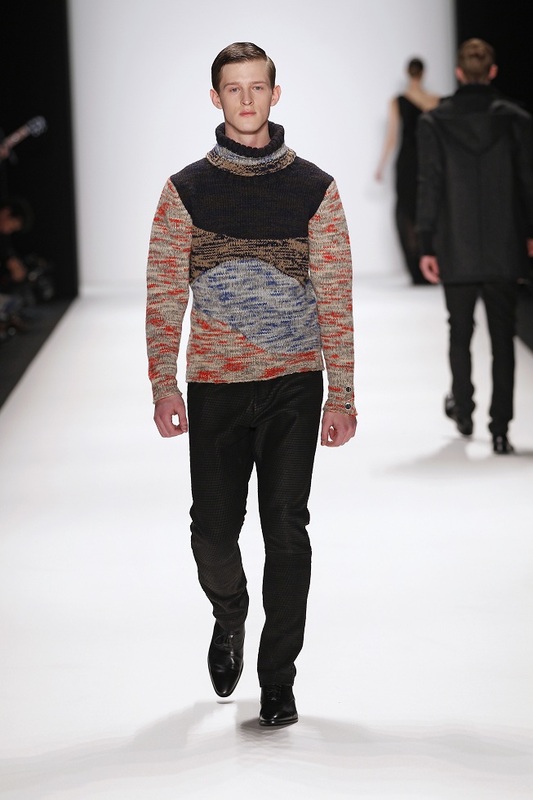 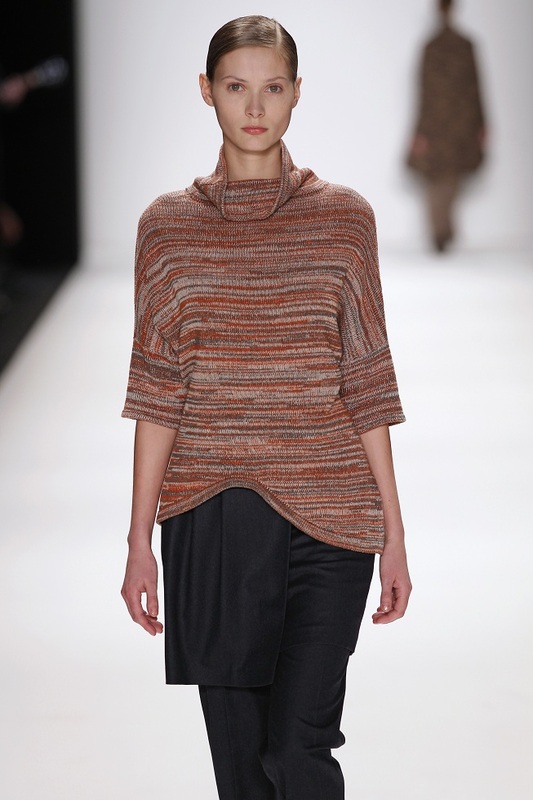 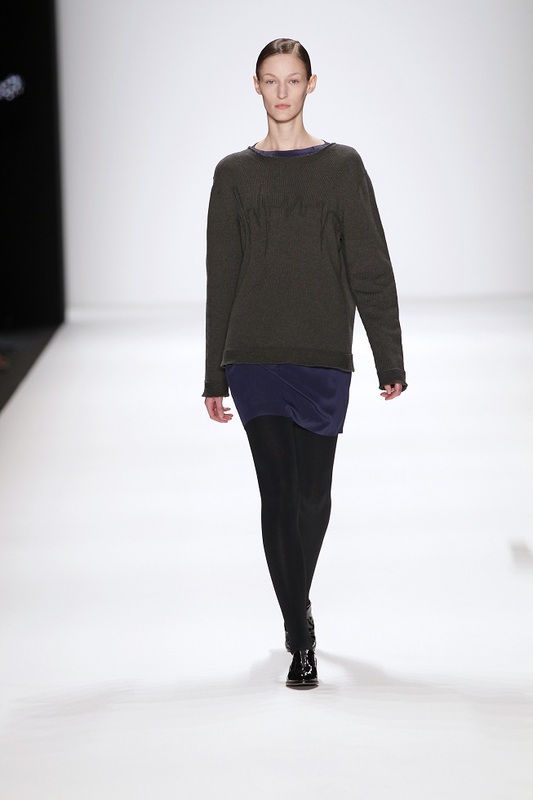 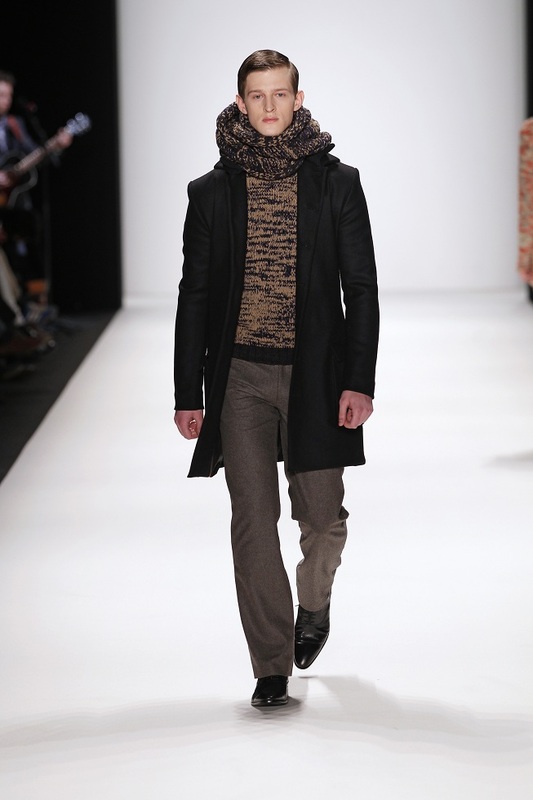 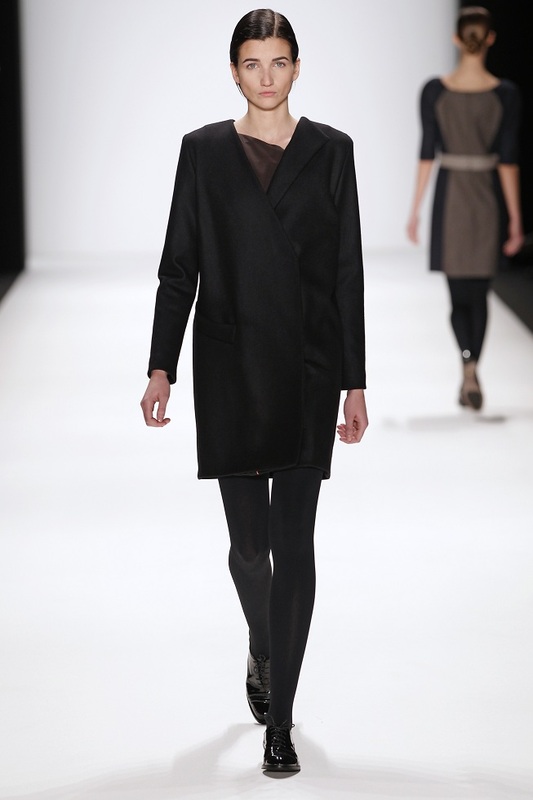 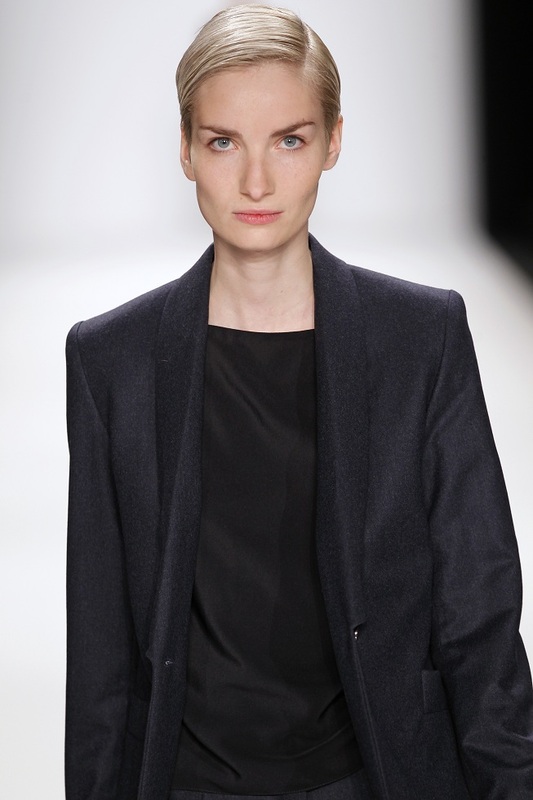 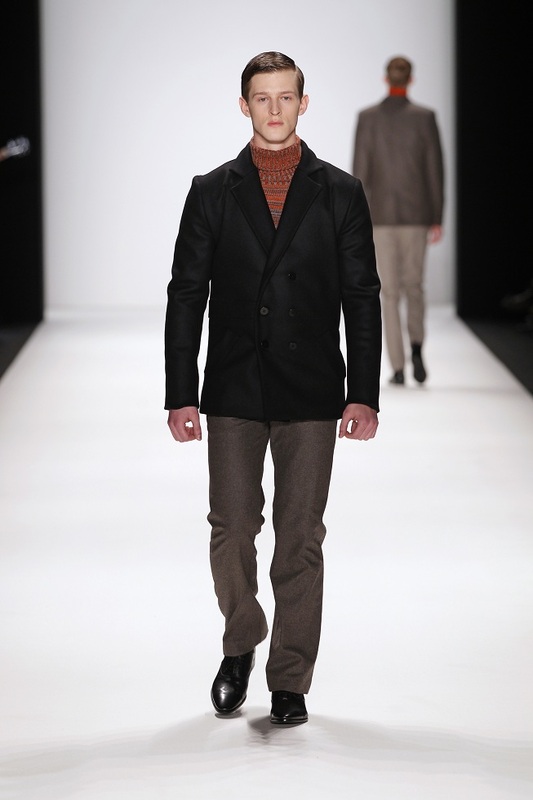 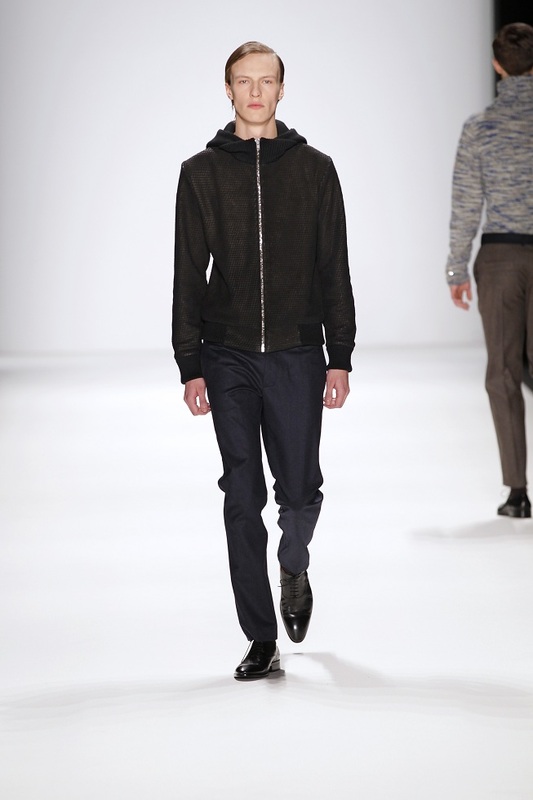 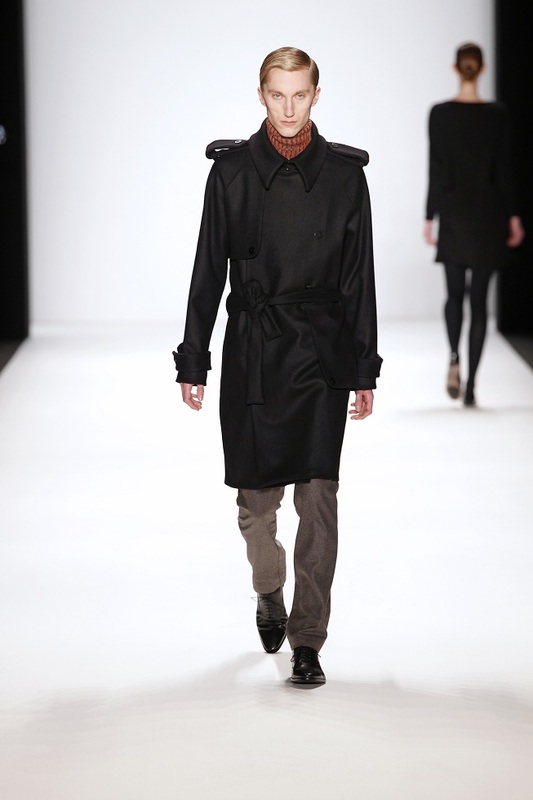 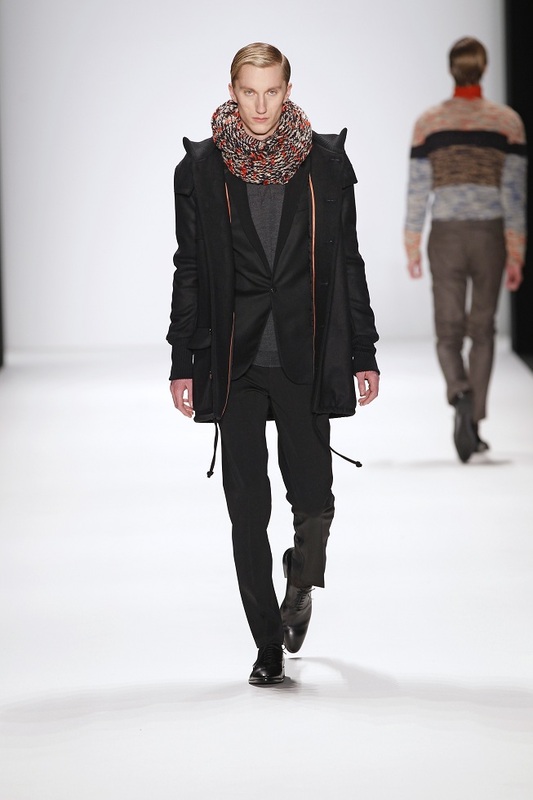 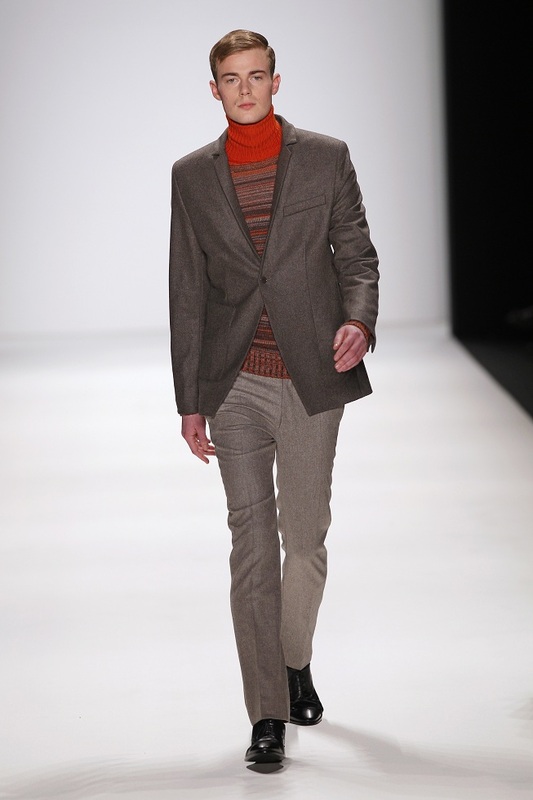 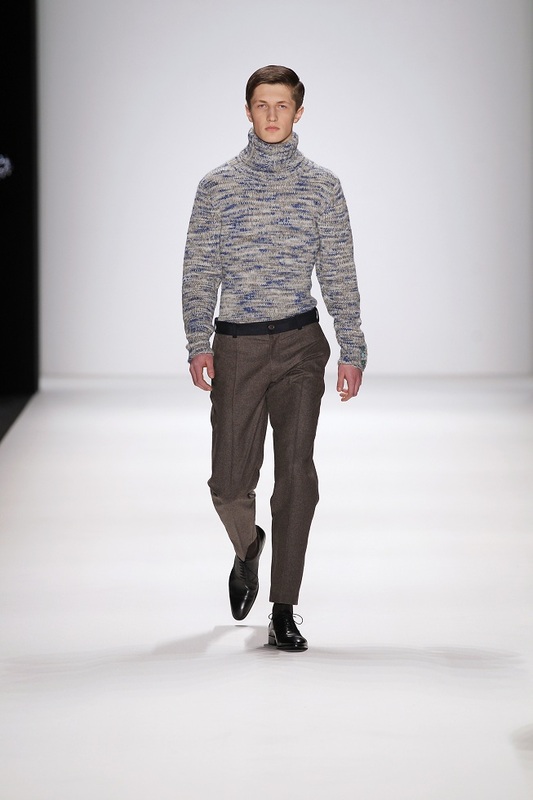 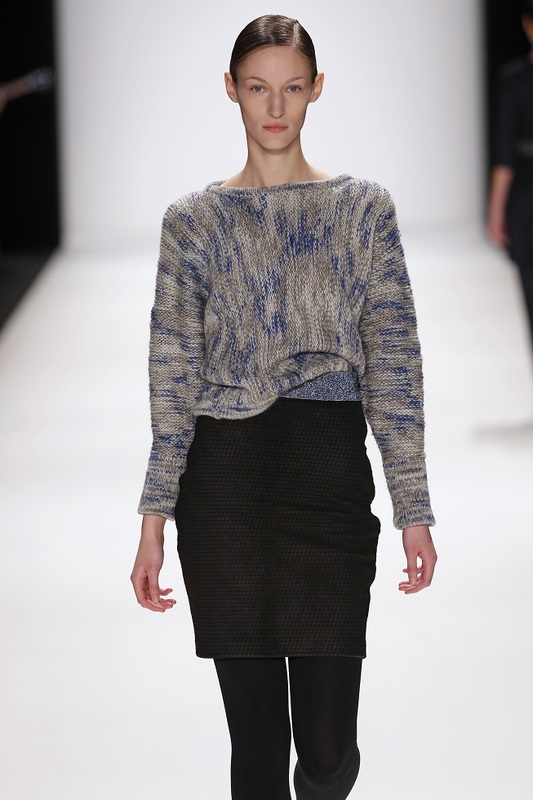 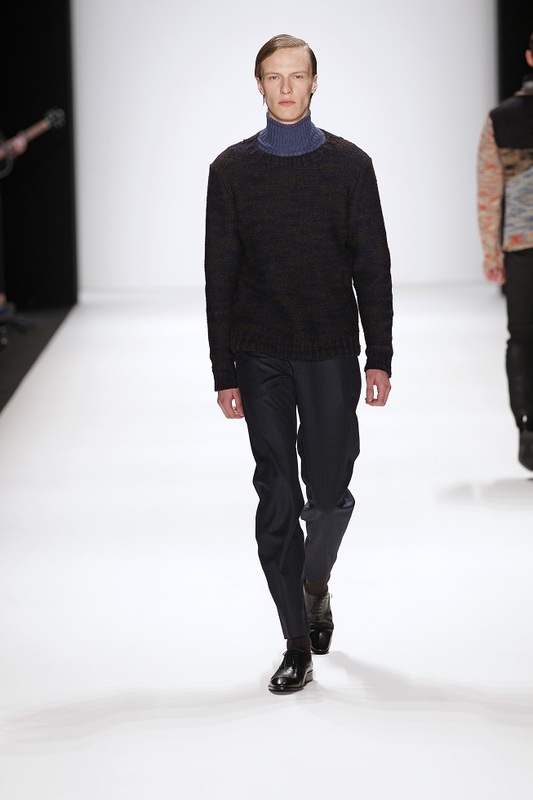 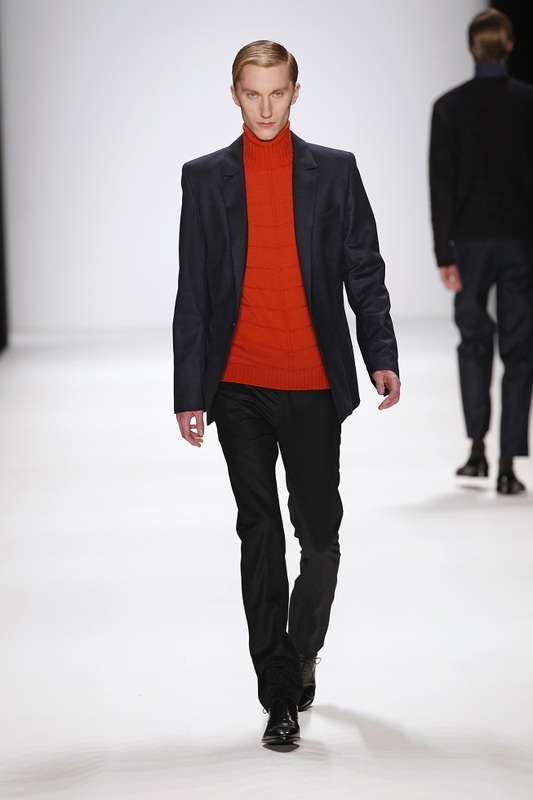 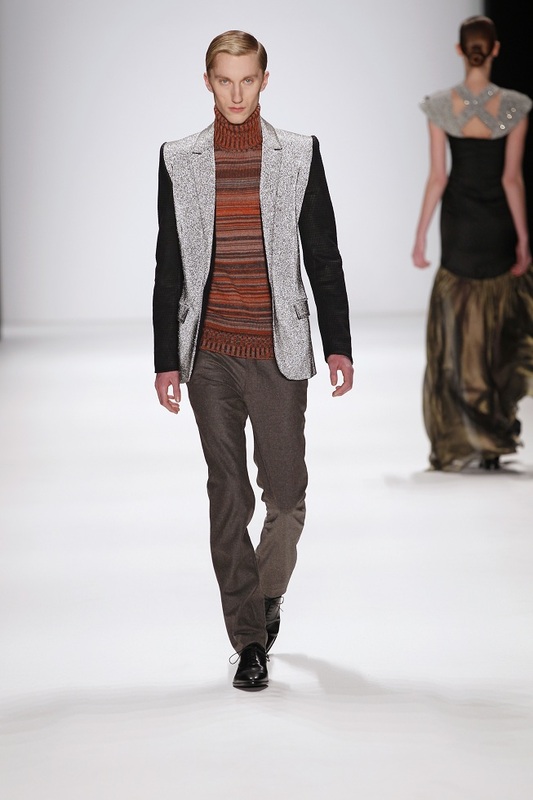 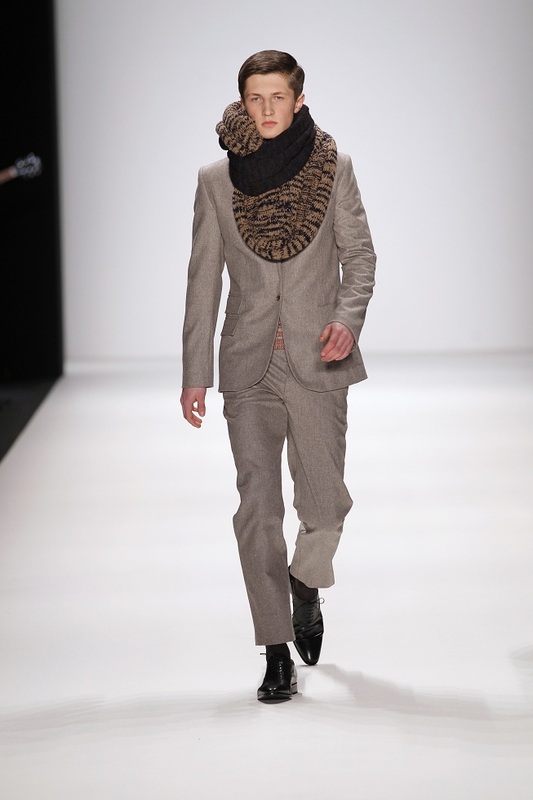 During Mercedes-Benz Fashion Week in Berlin I attended the Kilian Kerner show for fall/winter 2012/13. 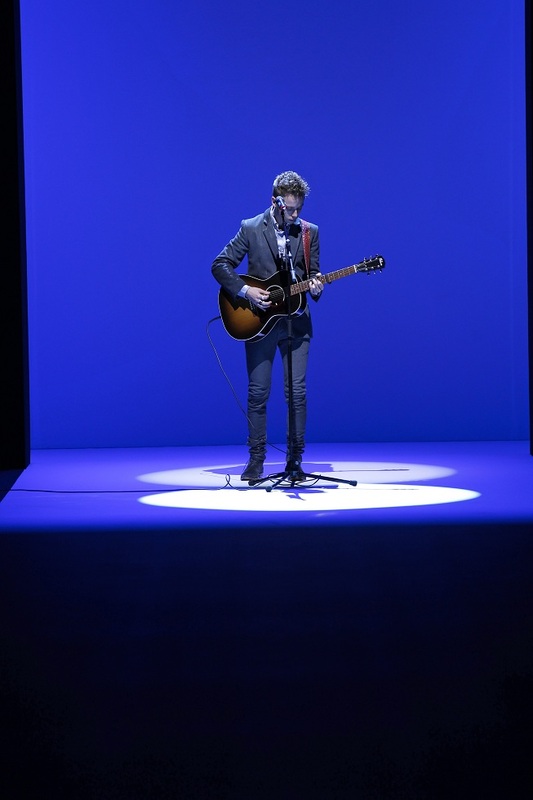 Like in the spring/summer 2012 show the Danish singer and songwriter Mads Langer who again accompanied the whole show with his incredible voice and acoustic guitar caused some goosebumps among the audience with his performance of the song 'if one truly loves' which was also the name of the collection. 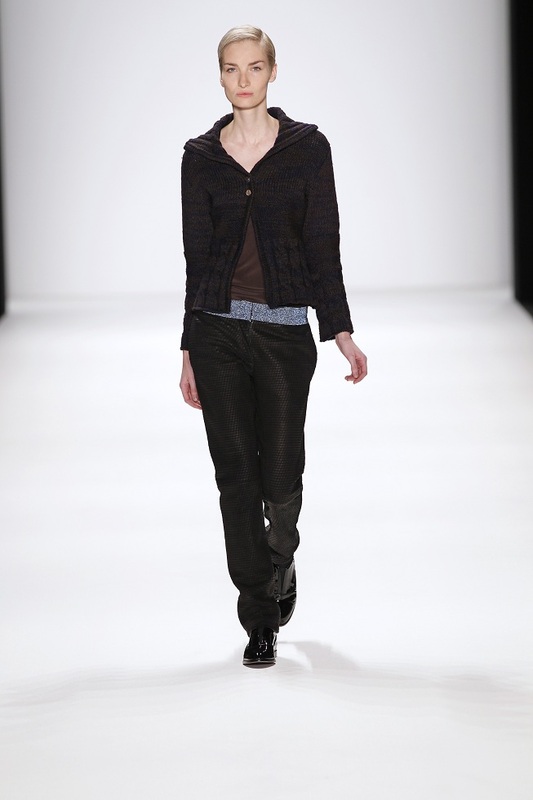 Kilian Kerner mixed classic, tailored styles with more casual boyfriend cuts. 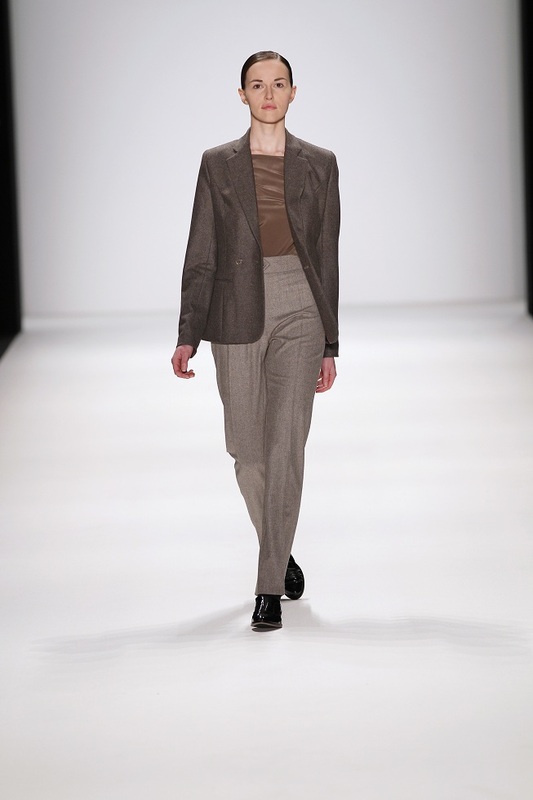 The models were styled in an androgynous way and notable was that all of them were wearing flat patent loafers, even with the long evening gowns. 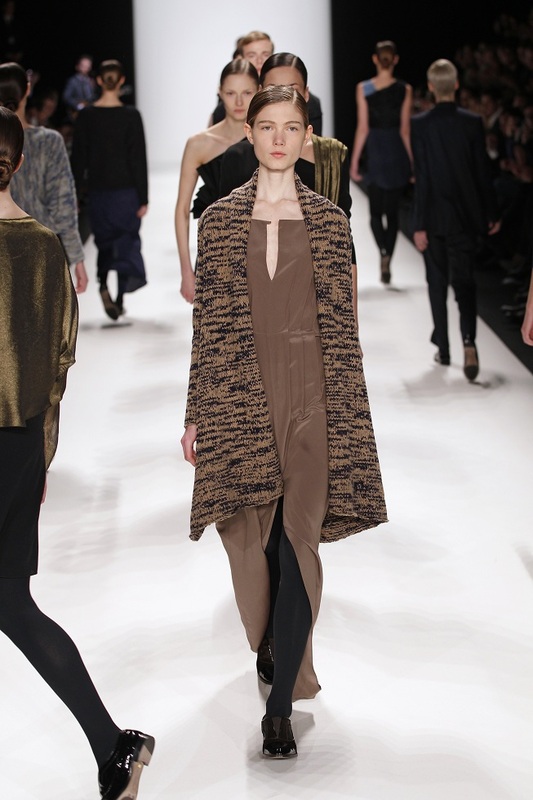 The collection was dominated by an H-silhouette and jackets and coats were the focus of both the mens and the womenswear combined with light, floor-length silk creations and sweater-trouser-combinations. 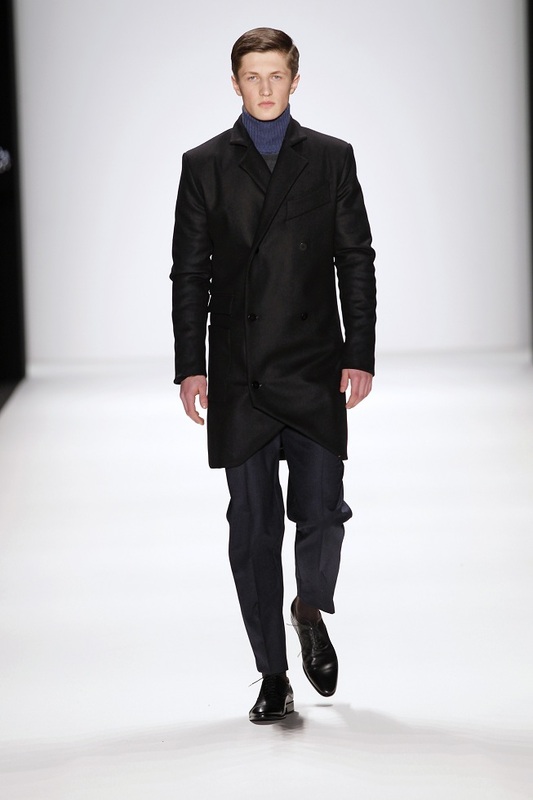 I spotted some wool coats that landed on my wishlist for next winter andthe outerwear for men was also excellently executed. 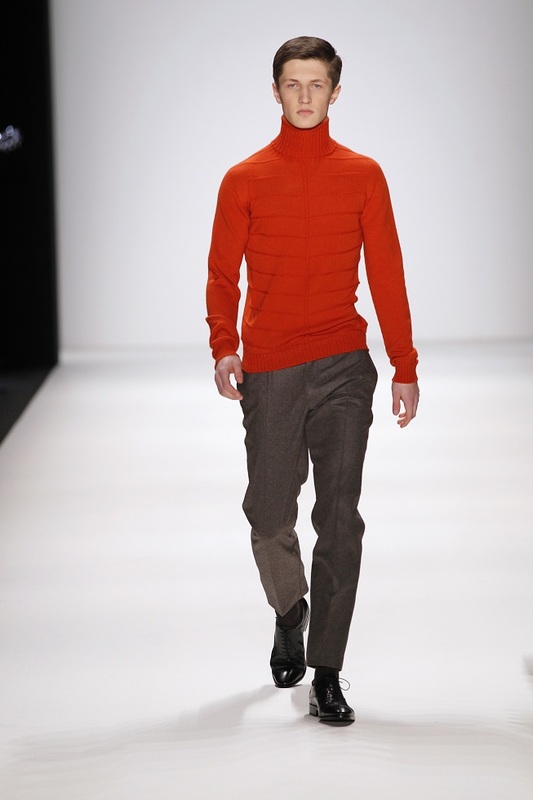 The knit pieces in orange are a welcome colourful addition to the usually dark winter wardrobe. 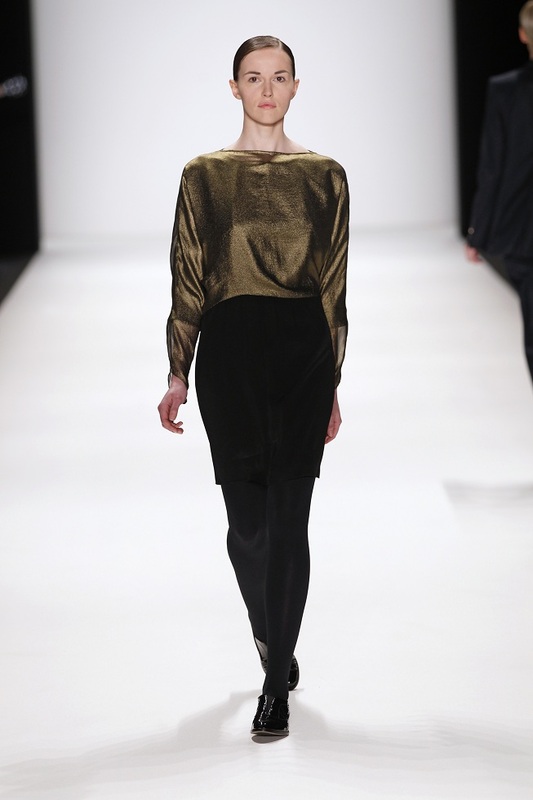 I'm just not sure what to think of some of the glitter pieces. 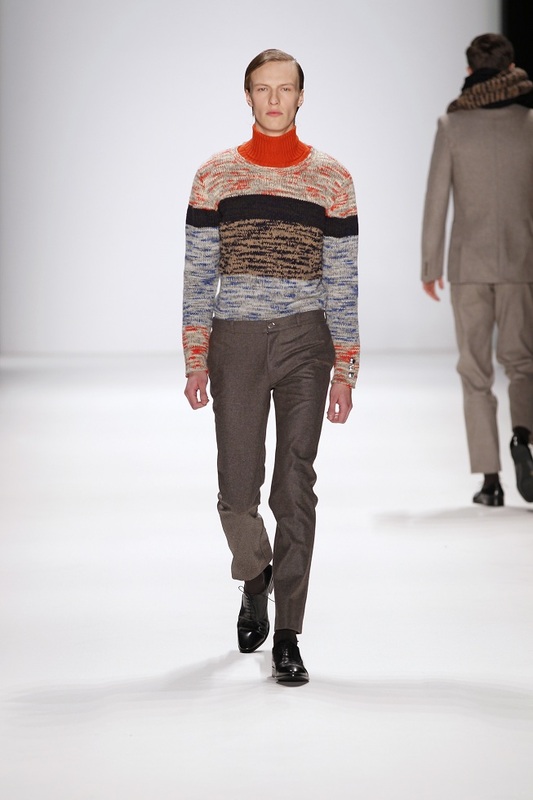 But of another thing I'm sure: only time will tell if Kilian Kerner will stay the promising young German design talent forever or if he'll finally make the real breakthrough in July during the next MBFWB. 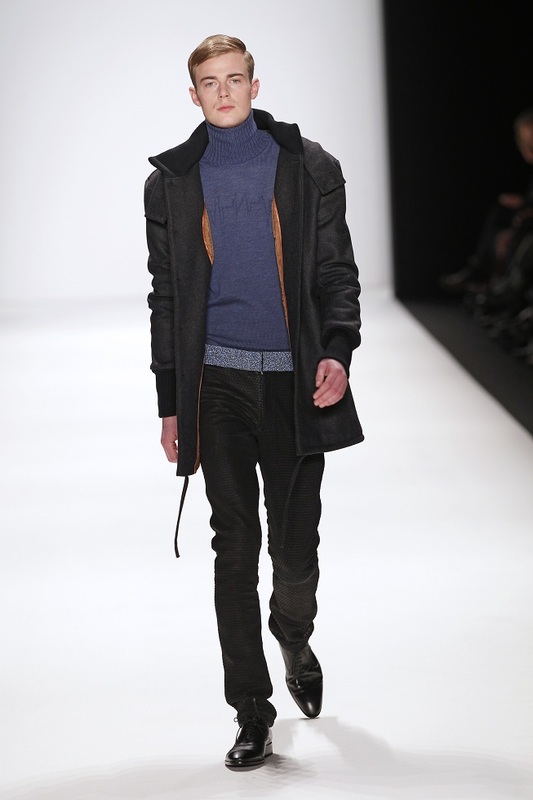 I'll keep my fingers crossed for him!